We are writing this to you in the name of thousands of pilgrims in Mecca who lost their lives on Hajj rituals. 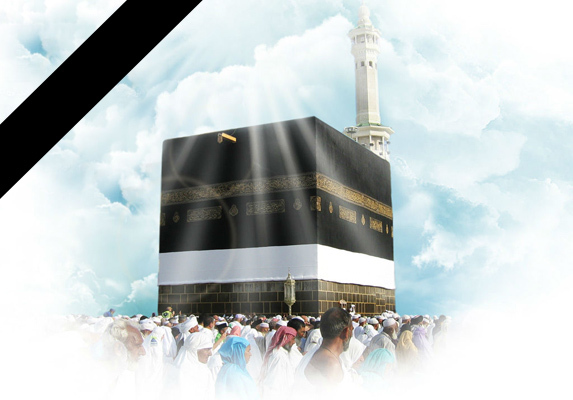 We, the Iranians, from different social section including; artists, veterans, educators, students and athletes declare our sympathy and support to survivors of Hajj stampede. This disaster happened on the biggest annual Islamic event in Mecca and therefore; it merit attentiveness and observations. Consequently, we would request your immediate attention on this specific matter with the hope that by your scrutiny and assistance such tragedies would not occur any more in the future. Undoubtedly, immediate attention to this matter is the least it could be done in accordance of the value of humanity beings lives and security from the United Nations, concerning the motto of this year's International Day of Peace motto by the United Nations "Partnership for Peace, Dignity for All". We hope such disasters won't happen again for the human beings regardless their race, nationality, religion and beliefs.